At Moto-i in Minneapolis, we take great pride in the sake that we brew on-site and serve to our customers. We have a great variety of options when it comes to sake, and we love watching people discover the unique flavors of this illustrious beverage. We offer tours of our sake brewery, so if you want to see firsthand how the drink is made, you can get up close and personal and explore how this traditional Japanese libation is created. 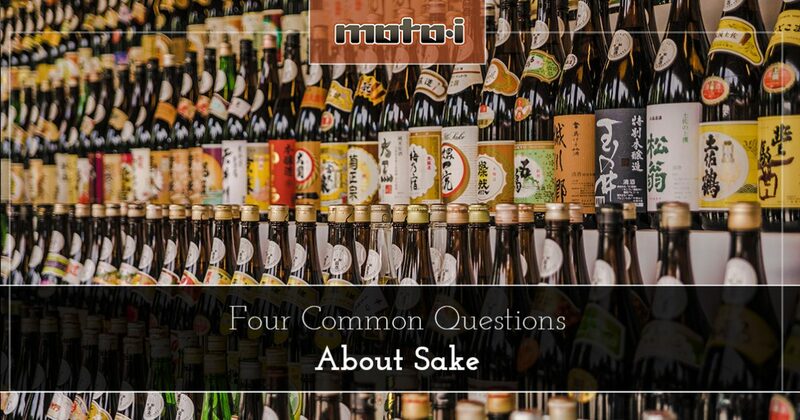 If you have questions about sake, our staff will be more than happy to answer them. In this post, we’ll look at some of the more common questions surrounding the beverage. 2. How Should Sake Be Stored? You may know how to store your beer, wine, and spirits properly, but you might not be sure how to store your bottle of sake. At our Japanese restaurant, we always refrigerate our namazake, or unpasteurized sake, and it’s usually a good idea to keep any bottle of sake in cold storage. If that’s not an option, at least make sure that the bottle is away from light and heat, otherwise it can go bad very quickly. 3. What’s the Alcohol Content of Sake? 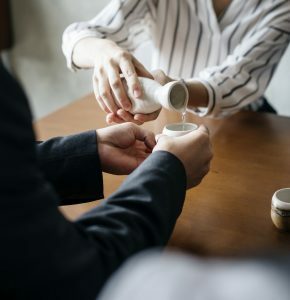 You may have heard that sake has a higher alcohol by volume (ABV) than beer or wine, and while that is usually true, sake is also meant to be enjoyed in smaller quantities and with a meal. Our sake ranges from 14 to 18 percent ABV, and we can recommend pairing a variety with any of our delicious Japanese cuisine options. Sake is meant to be enjoyed in the company of friends, and since it’s free of the sulfites found in many wines and the gluten found in many beers, you may not feel the effects of it as much if you had a different alcoholic drink with dinner! 4. Why is Sake Served Cold? If you’ve had sake at a friend’s house and he or she warmed it up before serving it to you, chances are you thought it was the traditional way to do so. However, premium sake should be served chilled in order to taste the full flavor of the beverage. Warming up sake can mask harsher flavors, which can be good for some lower-grade options. At Moto-i, we will always serve you your drink at the perfect temperature. If you have questions about sake, or you want to try the best in Minneapolis, then come to Moto-i today. You can try our different varieties, or you can have a sake cocktail such as our Narita Xpresso or The Akihito. We know that you’ll find your favorite and you’ll want to come back again and again. We’re open until 2:00am every night, and our happy hour specials include half-off sake from 10:00pm to 2:00am Sunday through Thursday. We also have a daytime happy hour every day from 2:20pm to 6:00pm. Try our delicious sake today!